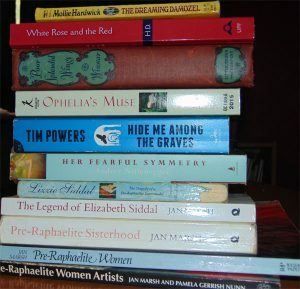 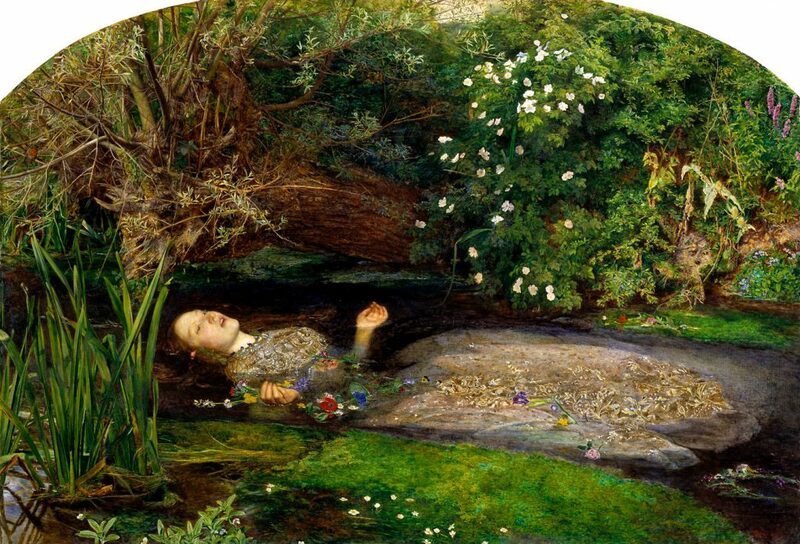 This post was originally published by Stephanie Graham Pina at Pre-Raphaelite Sisterhood. 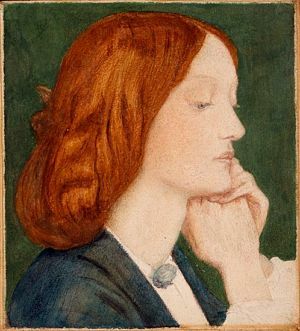 The story of Elizabeth Siddal is a compelling and sad one that lends itself well to fictional retellings. 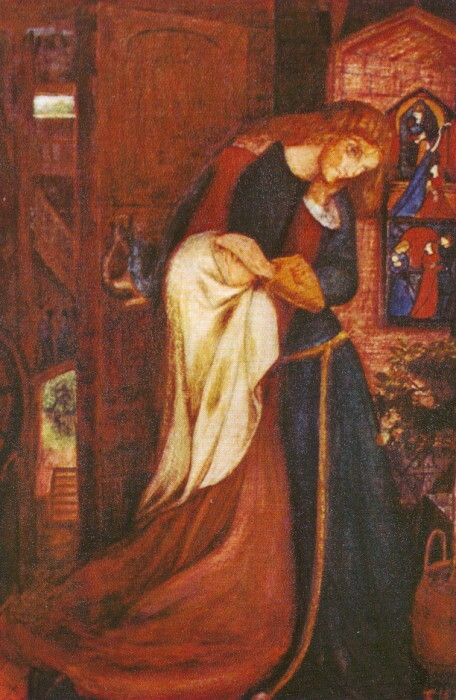 In 1990 Mollie Hardwick wrote The Dreaming Damozel, a mystery that has main character Doran Fairweather, an antique dealer, drawn deeper and deeper into an obsession with both Rossetti and Siddal. 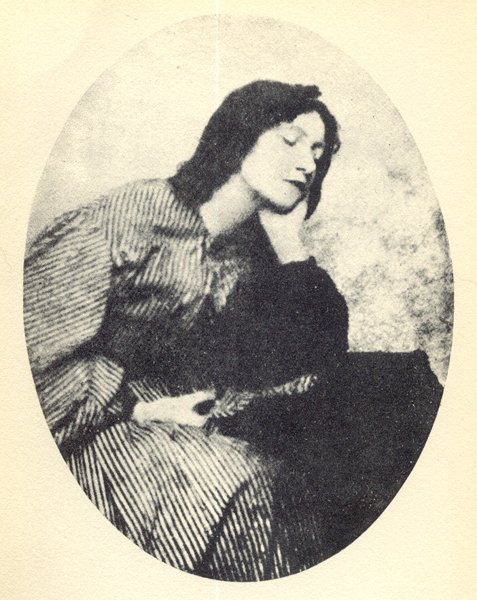 Fiona Mountain inventively used Siddal’s life as the catalyst for a modern day mystery in her 2002 book Pale as the Dead, featuring her protagonist Natasha Blake as a detective with a twist. 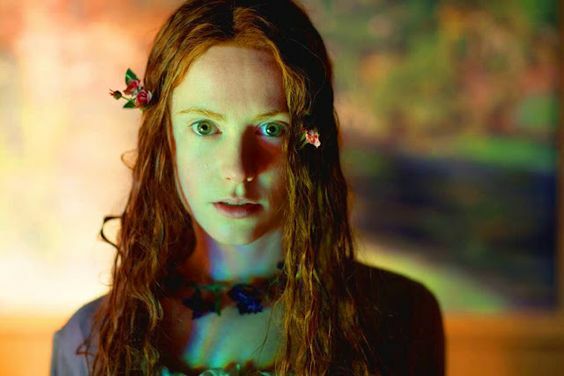 She’s a genealogist who can solve both the mysteries of your ancestors and any crime that crosses her path (I highly recommend both Pale as the Dead and the sequel Bloodlines). 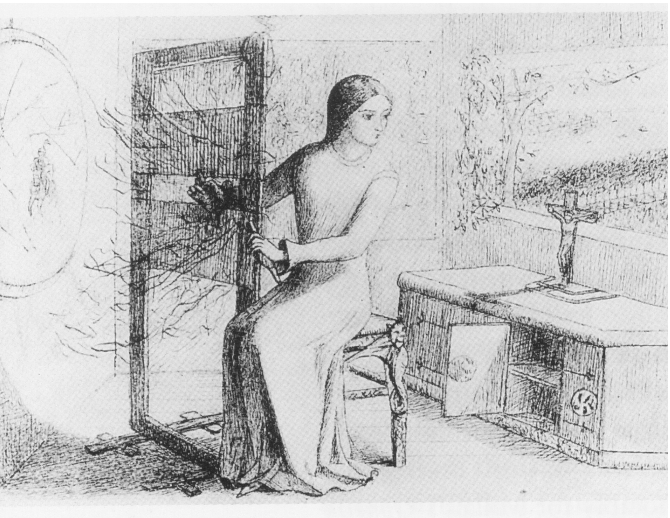 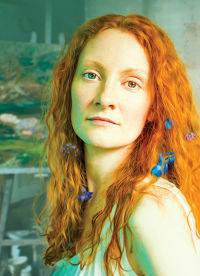 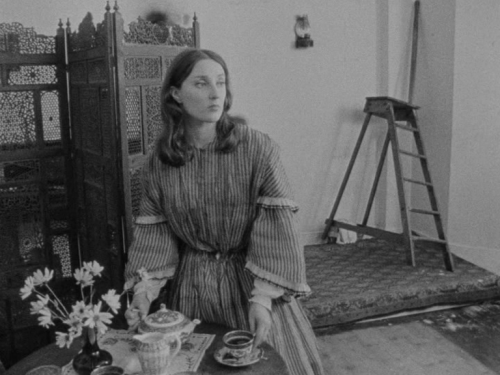 Audrey Niffenegger gave Siddal a brief cameo appearance in Her Fearful Symmetry, a tale that revolves around Highgate Cemetery, Siddal’s final resting place. 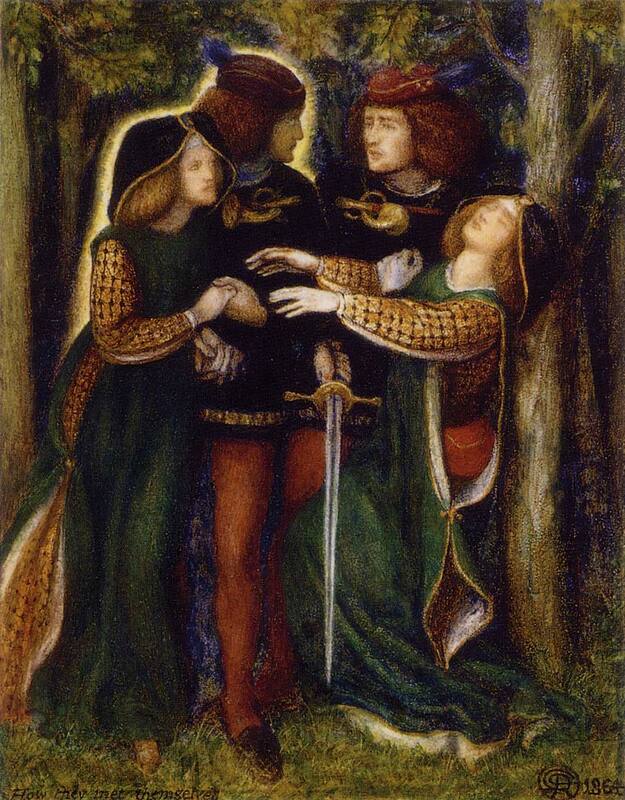 Siddal and the entire Rossetti clan get the vampire treatment in Tim Powers’ book Hide Me Among the Graves. 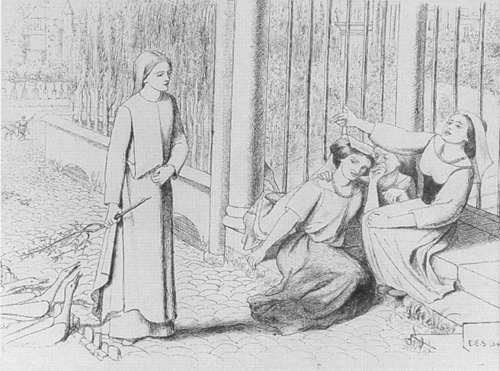 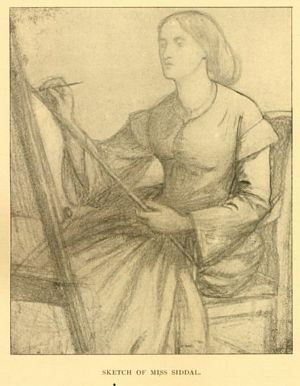 Author Rita Cameron recently wrote Ophelia’s Muse, a novelized version of the relationship between Siddal and Dante Gabriel Rossetti.